Single User License – 1 user. Team License – 3 users. Corporate License – 10 users. Education License – For educational use on single site; unlimited number of users and computers. Non-profits and other do-gooders – Contact our support to request a free license. All licenses work on either Mac or Windows computers or both. 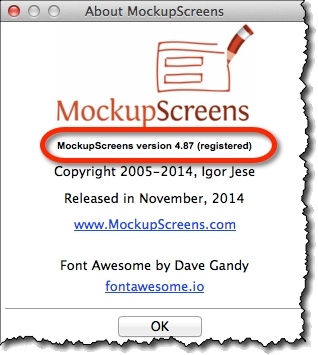 Each individual can use MockupScreens on two computers: for example, laptop and office (or home) computer. Choose the package and the checkout page opens. Choose among available payment methods (Credit card, PayPal, Purchase order, wire-transfer, etc) and complete the purchase. Check your email for the automatically delivered license key. If it doesn’t arrive in few minutes, check your spam folder. Register your version with the license key. All payments are processed by our partner Avangate Inc., renown Online shop and Payment processor. 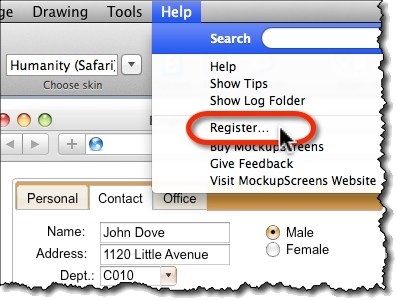 Choose the “Register” option from the “Help” menu. 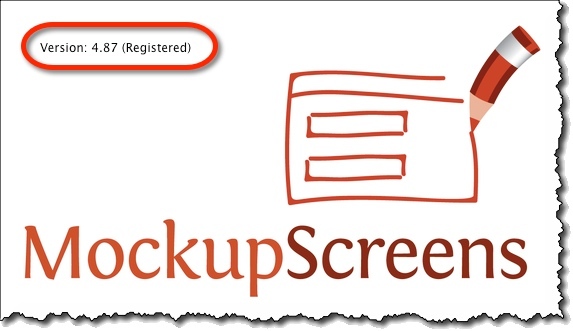 Check for the “Registered” text on the splash screen when starting MockupScreens.